Square One Television (sometimes referred to as Square One or Square One TV) is an American children’s television program produced by the Children’s Television Workshop to teach mathematics and abstract mathematical concepts to young viewers. Created and broadcast by PBS in the United States from 1987 to 1994, the show was intended to address the so-called “math crisis” among American schoolchildren. The show was revived for the 1995–1996 PBS season as a teacher instruction program, Square One TV Math Talk. 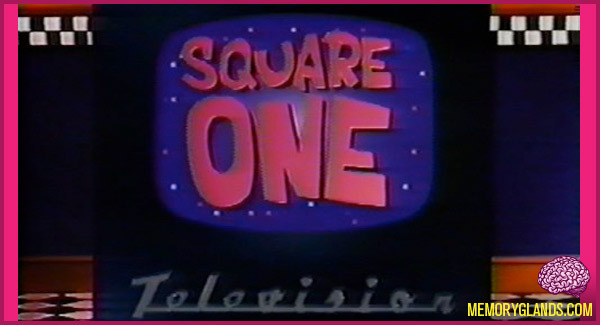 Square One was also shown on the U.S. cable television channel Noggin in syndication beginning in 1999, but was removed from its lineup along with other Children’s Television Workshop shows on May 26, 2003.